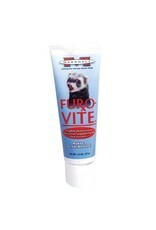 Small Animal MH FURO-VITE 4.5oz - Rick's Pet Stores Inc.
Furo-Vite is safe for ferrets of all ages and is available in an easy squeeze tube. It is an all natural vitamin paste that's so tasty that your ferret won't know he's getting his essential daily vitamins. 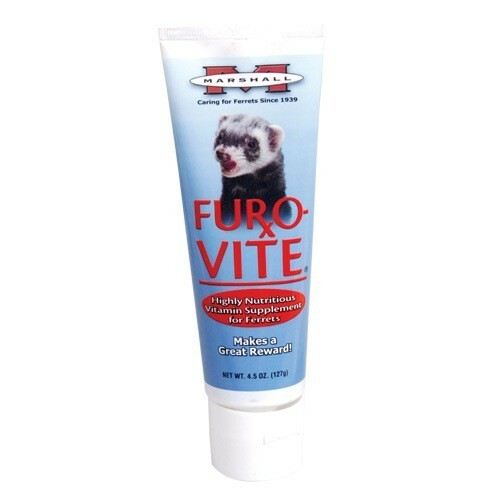 Furo-Vite provides excellent caloric value and can be used for ferrets who are ill or require additional nutritional value due to lack of essential ingredients in their diet.